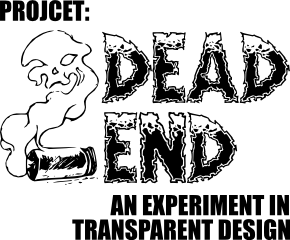 It’s been quite some time since I have written about the Dead End project. Work has continued, but at a much slower pace and it has not been played in several weeks. Not because it is done or that it is not a good game, but because I need to let it rest for a bit before I can start applying a critical eye to the specifics. This is the portion of the design process that I am unable to power through. I have seen people just push and push through this phase of designing until they come out with something that they are proud of, but I have never been able to do that. With every creative endeavor I have ever worked on I have come to a point where I am too attached to particular ideas and I am unable to objectively look at changes. It is at this point that I am too close to the project. I am too attached. I have always found that setting something aside for a while has allowed me to approach it with fresh eyes and renewed excitement that allows me to make drastic changes that are needed. – Single color. This allows for black, white, and one other color. The reason behind this is that the game will most likely be available for print and play long before it becomes a published product (IF it becomes a published product.) 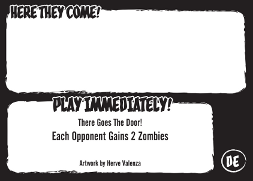 I would like for the game to be easily printable without consuming a great deal of color ink, but also the art must not suffer when printed as black and white. – Sketchy artwork similar to the Walking Dead series. I’m not looking for polished, photo correct artwork. Simple line art with greyscale highlights make for great printable images. 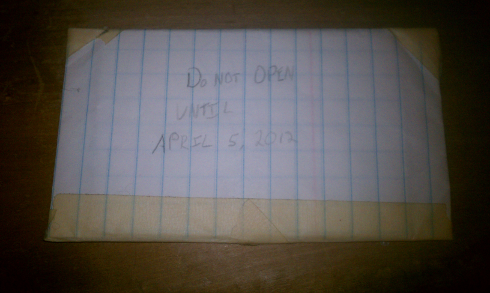 Also, this is a prototype, NOT a published design. D- is being paid for his services and I don’t have much of a budget for artwork on a game I plan to give away or sell for no profit. Also, if I am able to license this game to a publisher, it is unlikely that the artwork would be retained. – You pick the style. I gave no particular direction for the style of artwork used. It is completely up to him whether he wants the game to be cartoony or serious. I could honestly see it going either way, but he’s the Art Director. He gets to decide. 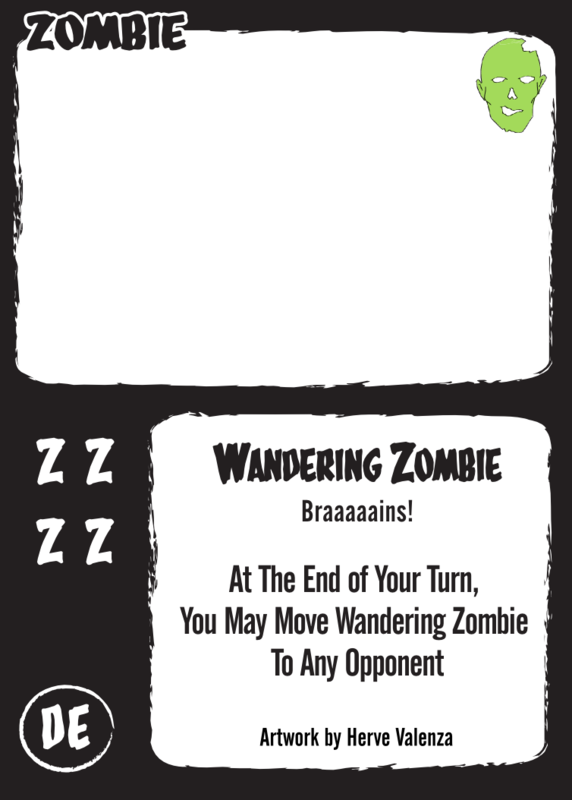 My “design” was very minimal and served only to present the cards in a consistent manner for playtesting. I’m not going to lie, I am not a fan of my layout… that’s why game designers hire graphic designers. D- is the first person I turn to when something isn’t visually appealing to me. He can almost without fail say, “hold on a sec,” and a few minutes later show me a rough that is ten times better than any idea I had. D- was able to take my basic design and build on it. This was his first shot at it and I don’t believe either of us were wowed. He built off of my layout initially just to get a feel for what elements needed to be on the cards. It was a necessary step because we both needed to see how the cards looked with a less basic design. 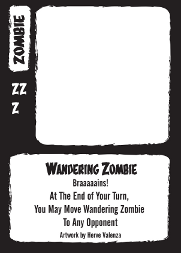 We both liked the solid border and using the letter Z to indicate the zombie strength of the card instead of a plain number. We were also unsure of the vertical card name because it didn’t really serve a purpose other than to be different from other games. I would say that most games have the card titles across the top for a reason and it seems silly to be different just for the sake of being different. After a bit, D- came up with his second design and we both loved it. It presents all the key elements in a very accessible manner without getting in the way. 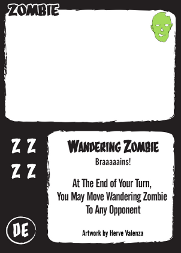 The card titles are bold and easy to read and the game text has plenty of space without sacrificing the art space on the card. This is really about the 3rd or 4th design because he kept adjusting things between sending me updates. So, there’s no artwork yet. We are way too early in the process to start contemplating art. This is still the design and refine stage. Cards are changing, being removed, and added. Titles may change, effects may change, and all of that changes what will be required of the art. Art is the last thing to worry about at this point. I may find some filler for personal playtest copies, but as that would surely violate copyright, I will not be posting images of that here. Okay, that’s a lie. There is a bit of artwork done. 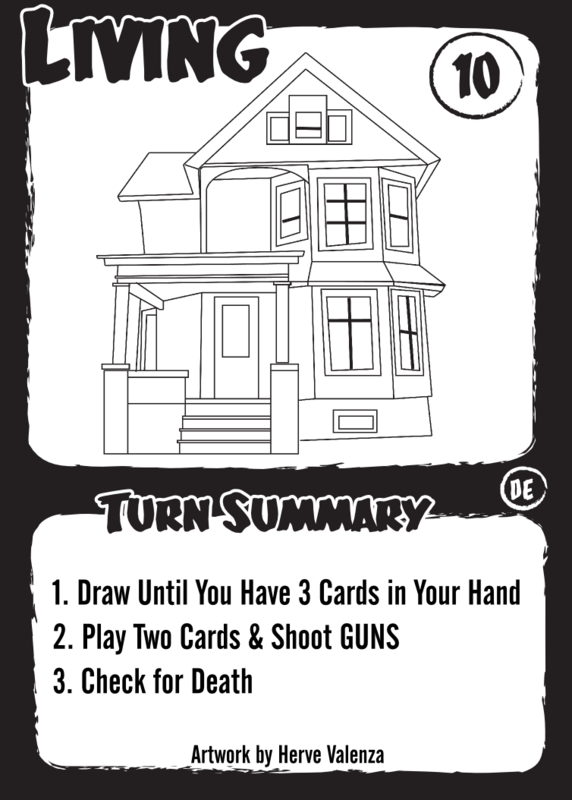 Here’s some more layouts from D- and completed house cards! I do have some new cards designed but I haven’t committed them to the deck yet. Now that I have the layout stuff in order, I’m going to order some print on demand poker decks with excess cards and blanks so that I can fiddle with the numbers and even the text. The design is getting a bit to detailed to keep adding bits of sleeved paper here and there. Having cards that are easily shuffled and also easily written on is invaluable at this stage. I miss designing on business cards. Scallywags Will Be At Origins Game Fair! 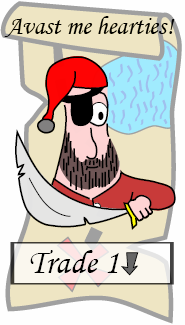 I have received confirmation that I will have Scallywags in time to run the introduction tournament at Origins Game Fair! Check out the Scallywags page for more information and be sure to share this news with anyone who may be attending Origins. I’ve taken a few unscheduled weeks “off”, so it’s time to get back in the swing of things. If you don’t follow me on Twitter (why don’t you follow me!?) or stalk me on Google (okay, don’t do that, it’s creepy), then you may not be aware of the adventure I had a few weeks ago. This site isn’t intended to share these sorts of things, but I’m doing it anyway dern it because it was such an awesome time. For some reason, I decided to post this picture to Reddit.com asking for advice. Should I seek out the box after work on Thursday or wait until the weekend? I submitted this at bedtime and when I woke up the next day, I suddenly had about 300 messages in my inbox. I had made the front page of Reddit during the night and the Internet was DEMANDING that I follow up on this. There were so many great comments and a surprisingly small section of them were cynical. It seemed people wanted to believe in the validity of my story, but what they really wanted to know, just as I did, was what was in the box!? A co-worker volunteered a metal detector and camera to the dig effort and we set up a time a few days later. The entire event was filmed/photographed, and a follow up post was written for the Reddit community. The whole experience was amazing. I have managed to keep myself mostly anonymous on the Internet for the past ~20 years, and for the first time I was posting pictures and even video of myself! The follow up got more great comments and the YouTube video is still getting views. It was a fun week, but also very taxing. I didn’t get much else done because I was committed to responding to everyone that commented. Thank you Internet for your brief, yet exciting, moments of interest in my life. I have re-charged and am ready to get back to blogging about my game design. Do not fret, although I have not been posting much about Princess Dice, development continues! If you follow me on Twitter (why don’t you follow me on Twitter again? ), you may have seen some teaser images I’ve posted. I have been working hard to make sure that the game is ready to show to publishers because I am certain that there is a market, and guess what… the game is pretty sweet as well! After playing with my cruddy first prototype for a while, the materials I ordered from Andrew Tullsen’s Print and Play Productions arrived. I got home before my daughters that day and was able to get a set ready before they showed up. 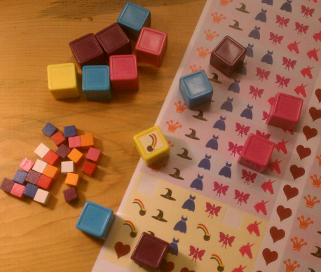 I have to admit, putting the stickers on the dice and watching it slowly take shape had me super excited. 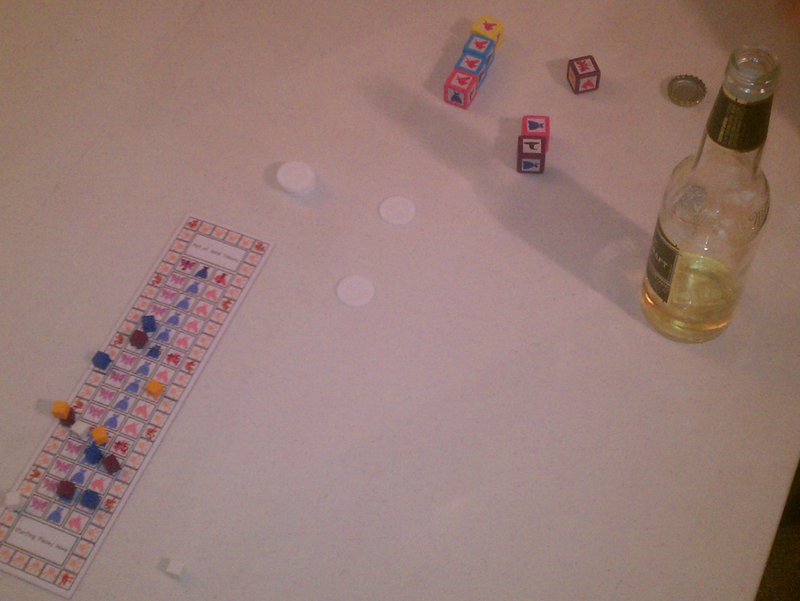 As you can see, the new dice were slightly better than my initial prototype. My first attempt was just black and white art printed on address labels. I cut them out by hand and applied them to the dice. Andrew offers sticker sheets of 1/2″ stickers fully printed. This made the process a snap and the results are beautiful. I don’t know what kind of printer Andrew has, but the quality is awesome. The color laser printer at work doesn’t do this good of a job. In the time I was waiting on the dice to arrive, I worked on the board. I showed it off a bit with my last post thanks to Jamie Jones, but I hadn’t had my own complete set yet. This is the first full-prototype that my kids got to see. They were all giddy with excitement and begged me to play. This is the first game they got to play with the full set. My youngest gave up before we could get pictures, that’s why you only see two sets of score markers. The new dice were an instant hit. The colors are integral to the toddler rules, but they also serve to inform the players which dice have certain faces. This makes the decision to re-roll a little easier. With the old black and white dice, it wasn’t as obvious. 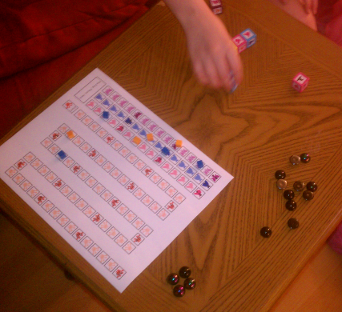 My seven year old would previously pick arbitrary dice to re-roll because she wanted a particular result. After the first time seeing me pick specific dice because of their colors, she quickly adapted the strategy and started making informed re-roll decisions. Those are awesome moments as a geek dad! Between games and work, I started thinking about sending out prototypes for others to play. That big horrendous board makes it very difficult to transport the game as well as ship it, so I started working on a revised concept that would use a much smaller board. This was my first attempt. The board is too small. It’s awesomely portable, and could fit in a small package, but it’s just too small to play with. Especially when playing with a bunch of grown men. Yeah we do that. Princess Dice works great with a couple beer if you were wondering. After playing a few games with that little board, I worked on a larger version and tweaked the rules here and there in an attempt to eliminate all confusion. I’m not good with rules and I have never been satisfied with my results. That’s where playtesters come in. I’m not talking about the ones that I’ve showed the game. I need people to play it based on my rules alone and provide me feedback. Tell me what went wrong, what was misunderstood, and what I could do to improve my rules. I’ve sent out a few prototype sets now and I can’t wait to hear back! When designing games, there is always a point where it becomes important to do some bit of art or graphic design work on the components. Every designer has reached that point whether it be before any actual playtesting has begun or long after the game mechanics are finalized. Things just aren’t attractive without a good layout and some aesthetic work. For some, this is no problem. They get out their art pads or fire up their design software and create beautiful things. I am not one of those people. I struggle with art. I don’t call myself an artist but some people have suggested that I am. I draw little cartoons and sometimes a still life or single objects. I create characters and scenes in vaguely proportional dimensions. I have even drawn some things that I am proud of. What I am not, however, is a graphic designer. I have worked hard to make this site attractive, and I have heard some compliments, but honestly, I have just borrowed from themes and looks of things that I like. I chose colors that I like, not because they go together, but because the represent me well and are different enough to not be boring. I drew a little hat logo that shows up in your browsers title bar, or when you bookmark me as a favorite. I’ve done a lot of borrowing, but that does not make me a designer. I struggle with everything I create. 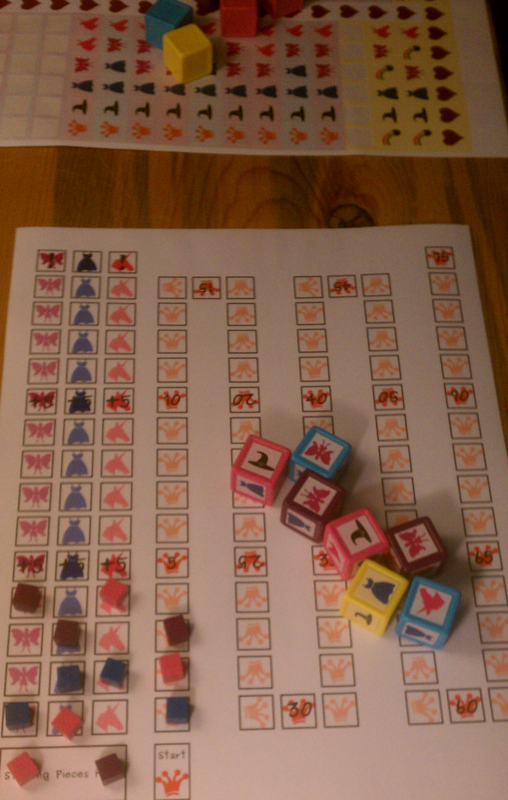 When designing games, I try to make my prototypes functional first, then figure out how to make things work later on. 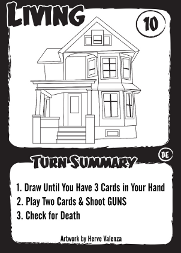 I put important things like numbers and card names in corners, and place game text in familiar areas. Again, this isn’t graphic design, this is just burrowing from previously successful norms. If you have been following Dead End project you have seen the bland cards, with a functional, yet completely uninspiring layout. This is fine for the early stages of development when cards are changing so frequently that assigning some sort of standard format to them is just not possible. Information has come and gone from the cards. Names have changed, numbers have disappeared and reappeared… there is just not enough stability yet to the system to commit effort to a finalized layout. Yet before I am willing to call the game “complete” there must be good design and art. 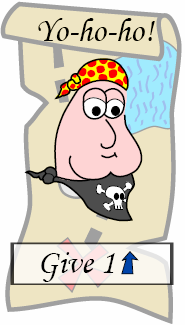 If you look back at the work I did on Scallywags you can catch a glimpse of my first attempts at computer aided design. I drew the characters on paper, and replicated them in software. That was the easy part. What was difficult was trying to figure out how to put those characters, along with names and game text on a card. I really didn’t spend too much time on this process because I was interested in having a playable game. At that time I thought the graphic design was satisfactory, but realized over time that it just plain sucked. 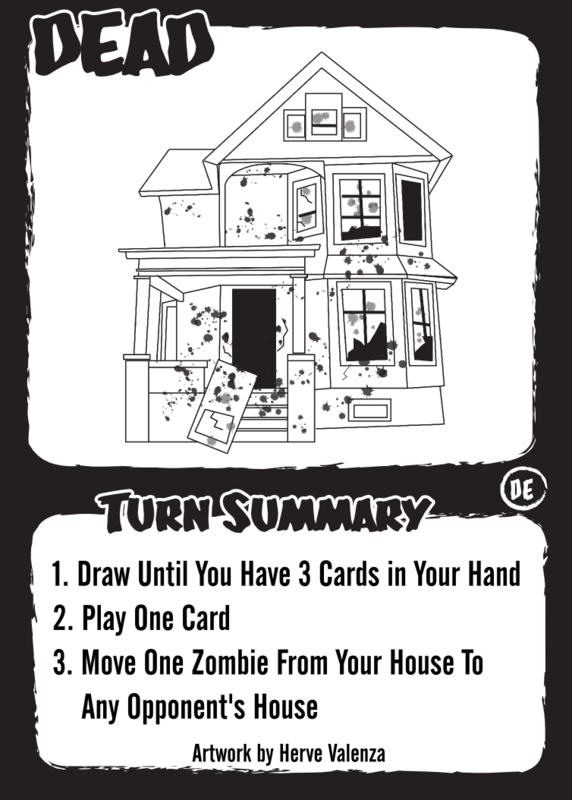 Thankfully, some kind people came along and made much better versions of the cards over the years it was available on BoardGameGeek. One thing I never considered when starting this website is how much I would come to rely on design and graphics in place of text. I did not have a logo at launch and instead just had some plain text where the current logo sits. I hated the plain text title and knew that I needed something special to fill that space. Thankfully, I have a close personal friend that is a great graphic designer. DT Butchino of Sketchpad Studio came to my rescue one evening with an awesome, informative graphic to use for my logo. When he designs things like this I am amazed at his ability to convey information through simple layout. I completely lack this skill and that’s okay. In the board game industry, there are game designers, graphic designers and artists and only very rarely does one person do all of those things well. As a game designer, presentation should not be my concern. If I license a game to a publisher, it ultimately falls on them to make my concepts attractive to buyers. And that’s okay. Maintaining a website, however, is a completely different story. I am the author, designer, and publisher. There is no team to lean on for creating content and no income from this work that can be spent on an art team. That’s where friends come in. D- being the great friend he is has hit me with random design help for years. When I’m struggling with something, he has frequently come to my rescue with quick little concept sketches or layouts. If you check out my games page you will see his work. He designed the logo for Bomb Squad some 10 years ago. It’s one of the coolest designs I’ve ever seen. 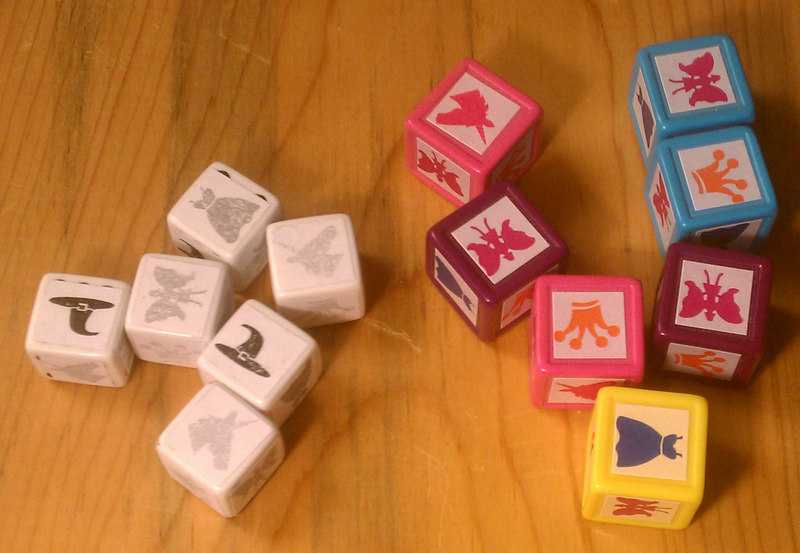 He sent me prototypes of the Princess Dice and Dead End logos that I used to make the final ones you see today. He even drew the bullet casing on the Dead End logo because his abilities go beyond just graphic design, he’s also a great artist. In the past I have tried to maintain “my” work myself. My games. My art. My design. My logo. What I’ve learned is that I spend way too much effort on doing the things that I am not good at instead of focusing on the parts that I am good at. Making the best game I can from an idea should be my focus. If I want to expand on that idea with stunning design and visuals, I should lean on people that have those skills. I am marveled by those skills. The goal of this site is that I will be writing about games from the initial concept through their publication with complete transparency. I cannot say that a publisher somewhere will be picking up the games for traditional publication. I cannot even say that I will be self publishing the games in a traditional manner. What I can say is that at the very least I will make these games available freely as Print and Play titles or maybe even through sites like GameCrafter.com. Part of the process will be the layout and artwork. I look forward to sharing more of D’s work as the designs progress. I design games and graphics. I have a YouTube show. Here, I chronicle my adventures in all things creative. If you'd like to involve yourself, visit often, leave comments, and chat with me on Twitter. 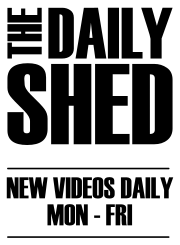 I have a daily show on YouTube. Check it out. Subscribe and join in the conversation!